Marriage in Islam is not just a union of a Muslim man and a Muslim woman seeking living life together aimlessly. It is a union of love, respect and compromise. It is also a celebration of emotions and feelings both the Muslim spouses have for each other because that is what will bring the Muslim husband and Muslim wife closer to one another in an intimate relationship. However, that cannot be done if there is no expressing of emotions and feelings between the two in marriage. It is very important for the Muslim man and Muslim woman to have great communication in marriage. Many couples do indeed fulfil this rule but their marriages still fail. That is because their marriage lacks the spark of the emotions that come with it. There can be communication without feelings and that makes the marriage dry and boring. That is why expression of love in marriage is so important from both sides of the coin, Muslim husband as well as Muslim wife. Expressions of love between a man and wife, however, are easier said than done. Allah understands that as well and has asked us to nevertheless try. Men are generally known to be inexpressive in whatever they feel for their wife and will not generally go ahead and tell them how pretty they look. Do it, Muslim husbands! Compliment your wife. Remember that Allah has made her halal for you so you can compliment her, hug her, kiss her, flirt with her and tell her you want her all the time. Don’t expect her to know you do, because a woman wants to be told and shown all of this. 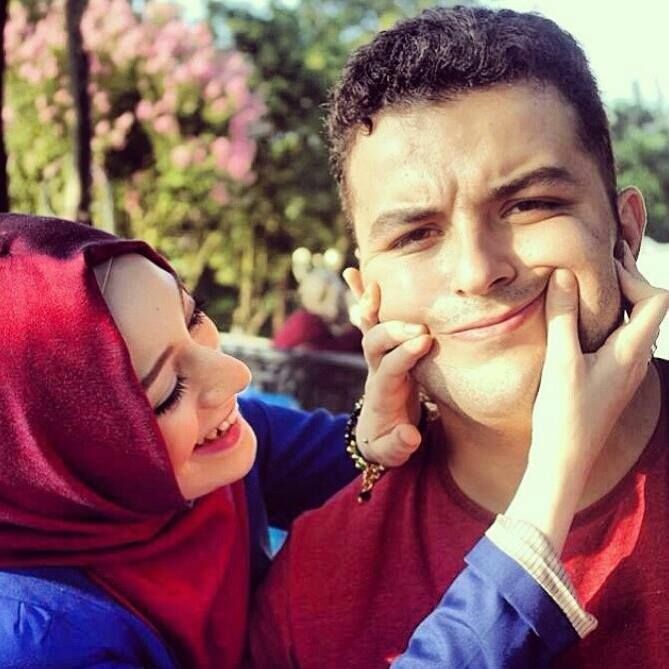 If you don’t show your expressions to your Muslim wife, your marriage will be dry and lack romance, till it eventually fades away. That’s where women come in as being the greater expressers of emotions. Women may display their affection for their husbands but many times they are not good at taking compliments and take them for granted. Muslim wives, please realize that it has taken your husband to go out of his comfort one to compliment you, accept his praise with grace and maybe even blush a little. Flirt back with him to remind him of your early days of marriage. Tell him he’s your confidant and best friend and your greatest comfort. Express, express and express some more. And keep your Muslim marriage alive forever IA!